Join a guided tour to learn about the indigenous wild cats of South Africa. 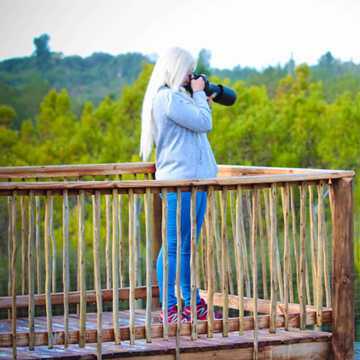 See African Wild Cats, Servals, Caracals, Cheetahs, Lions and our Leopard as well as other local wildlife such as meerkats, marabous, even Penguins and much much more! This relaxed and leisurely program is designed to offer ample time and opportunity to experience and photograph the various indigenous Wild Cats in a natural setting. A 2 hour privately guided tour including a light meal and refreshments. 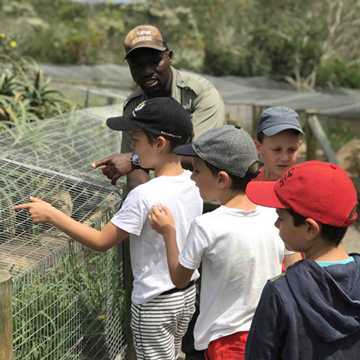 Designed to keep the kidz engaged, this age-targeted program (7-12yrs) challenges the whole family to learn about the cats of South Africa in a fun and educational manner, with tasks to complete and a Pledge Certificate. Includes booklet. 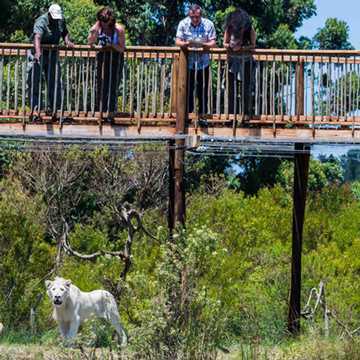 Discover fascinating nature facts on a short wild walk, during which the guides will prepare you to observe the cheetahs as your paths cross in the fynbos. 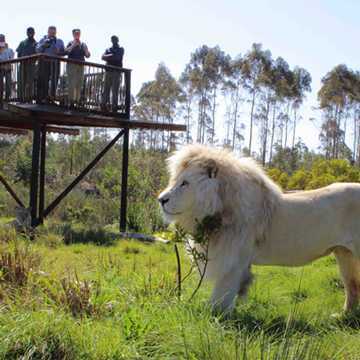 A bush picnic and tour of the wild cats and other local wildlife is included. 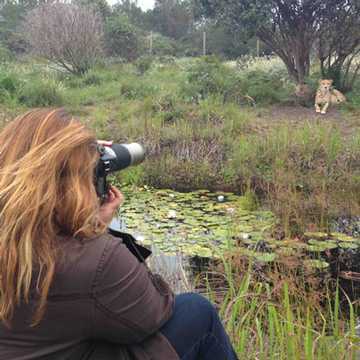 Experience the best of the best when you combine an exclusive private Photographic Tour to see the indigenous wild cats with the opportunity to photograph our Cheetahs during their daily excursion in the fynbos providing excellent opportunities for photographs in natural setting. An inspirational full day exclusive program to experience the full extent of Tenikwa with insight into the rehabilitation facilities and a day spent with the resident cats and wildlife that call Tenikwa home. Includes lunch and refreshments. Expect the Unexpected!